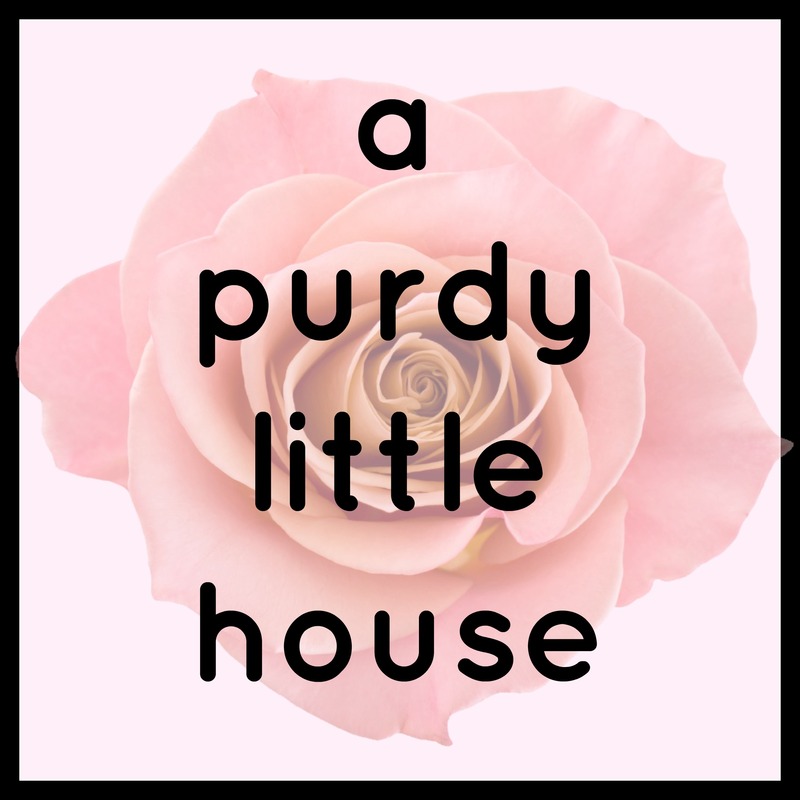 I’m so excited to be part of this Mexican Recipe blog hop, hosted by Barbara from The Everyday Home. 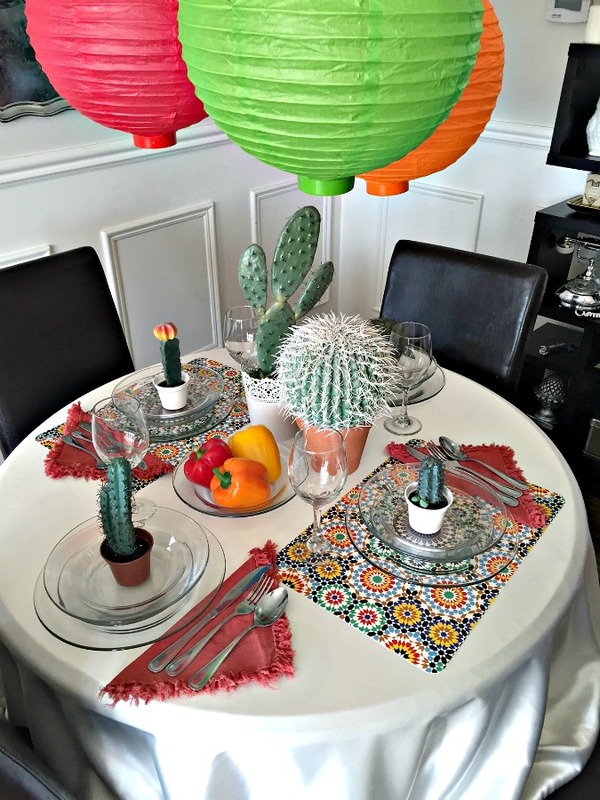 For this blog hop, the theme was Mexican Fiesta and I was chosen to complete one of the two tablescapes for the event. 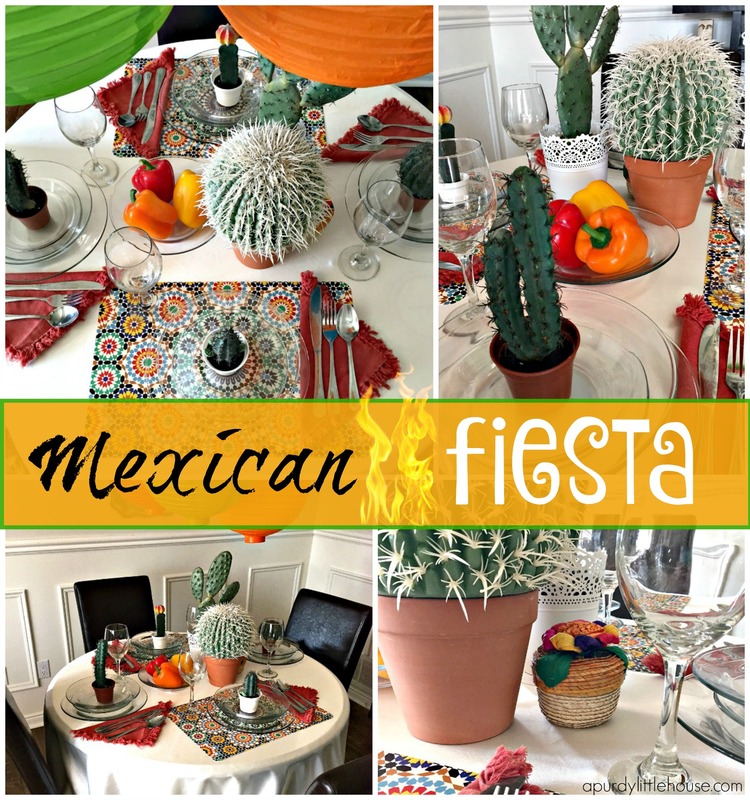 I”m so excited to share with you my take on the Mexican Fiesta Table Setting. This table was so much fun to put together, and I love all the bright and funky colours. For my tablescape, I decided to make it an intimate dinner setting for four, and my round table was the perfect size for the occasion. 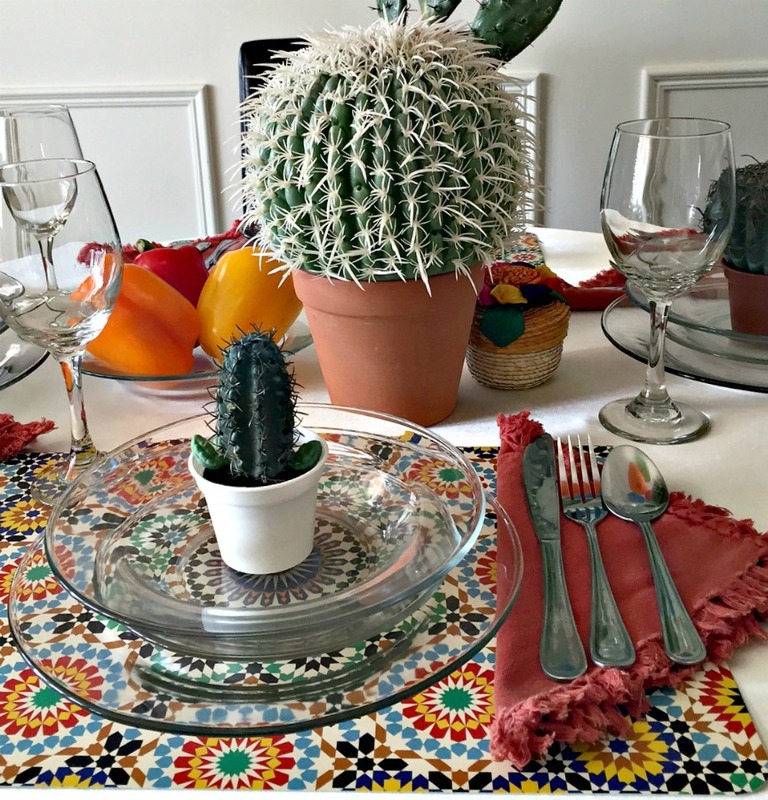 I wanted to keep the table simple and elegant, but also to incorporate all the bright colours typically used in any Mexican theme. To keep it clean looking, I used my white satin tablecloth as a backdrop. 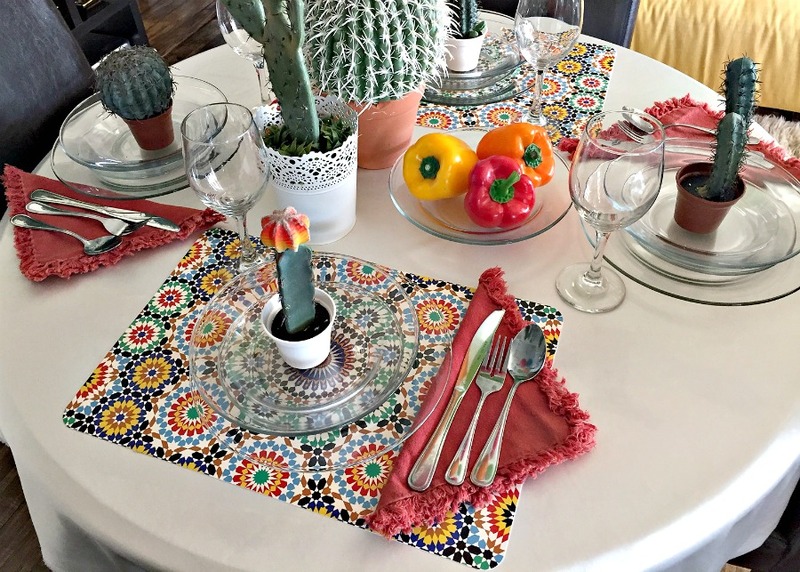 Next, I added these cute and colourful placemats I found at the dollar store. I also chose to use my clear dinnerware so that the fun design on the placemats would show through. I already had the napkins on hand, and I don’t use them often since I usually like more muted tones, but the colour seemed to be exactly what the table needed. 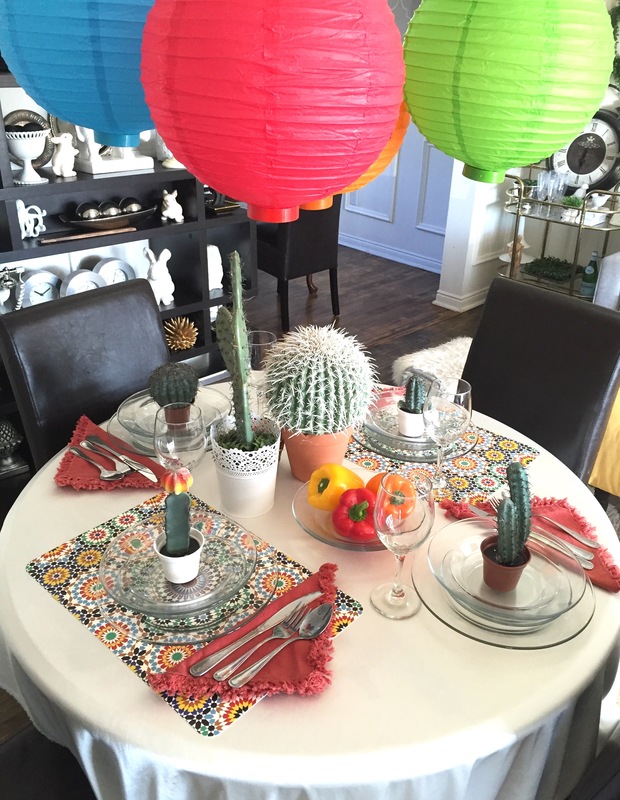 Next, I added these cute faux cactus’ to the table to help tie the theme all together. I added this cute little basket from our trip to Mexico several years ago. 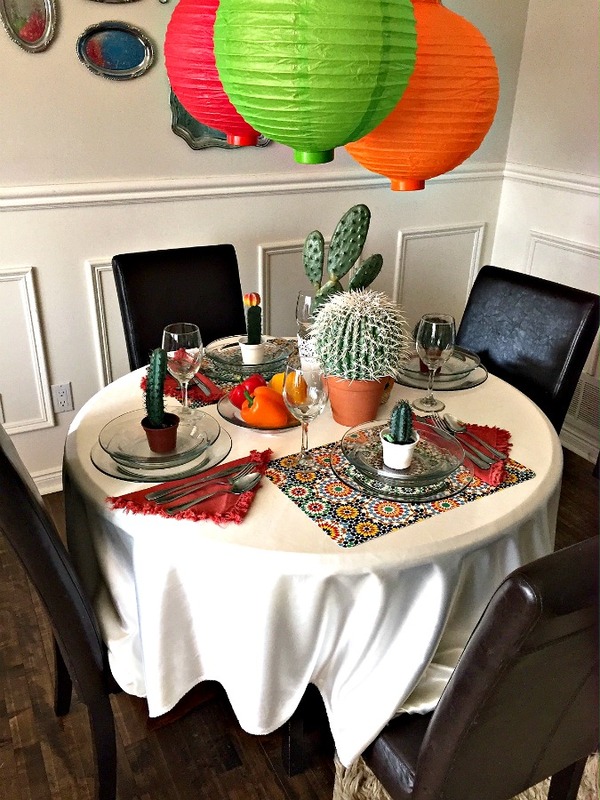 These inexpensive paper lanterns were picked up at the dollar store, and help ground the table making it the focal point of the room. 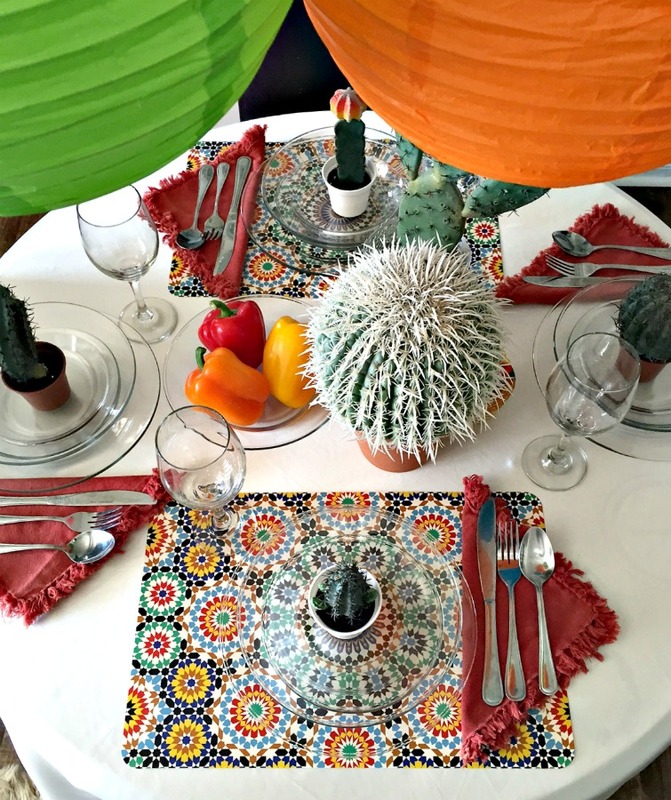 My favourite part of the table is the colourful peppers, and how they add a fun element to the table. 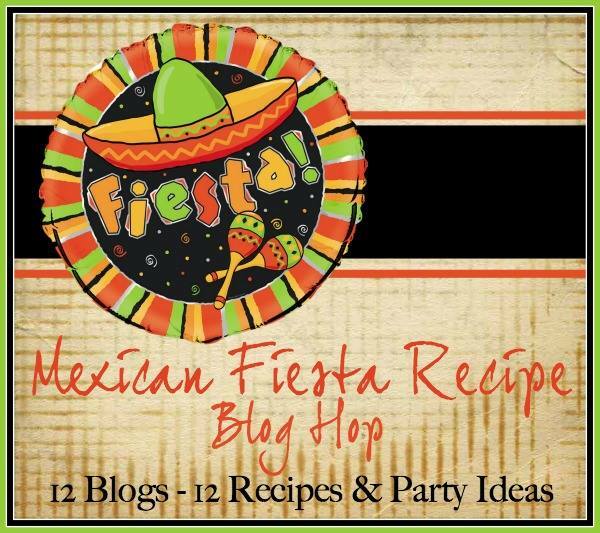 Be sure to check out what my blogging friends have cooked up for this Mexican Fiesta blog hop. Ole!!! I love your festive table! Your use of color and cacti are what I like best!! Great job! Thank you so much Sondra 🙂 It was a lot of fun to put together. 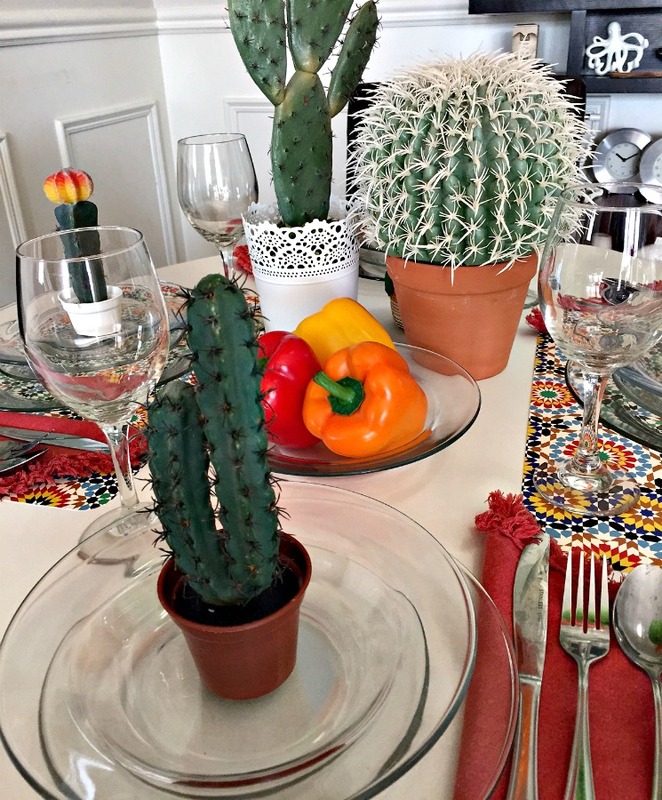 Love the clever use of cacti in the tablescape. It’s so colorful. So inspiring. Love the bright colors! I can’t believe those cacti are fake, they look so real! Your table looks wonderful. 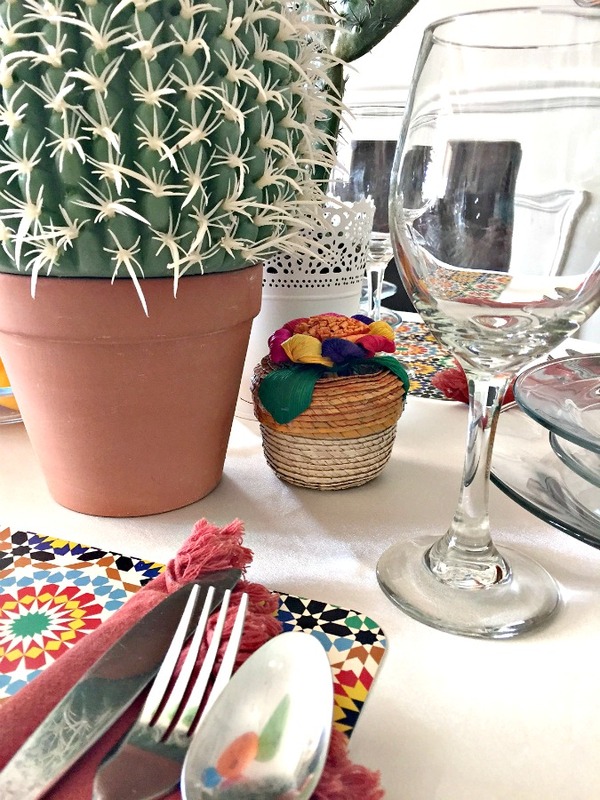 I love the placemats and cacti together.